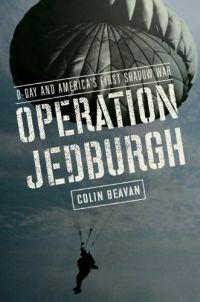 Description: On D-Day, three hundred young American and Allied soldiers were dropped behind enemy lines to launch a secret sabotage mission code-named Jedburgh. Working with the French Resistance, the "Jeds" launched a stunningly effective guerrilla campaign against the German war machine. In this compelling narrative, Colin Beavan, whose grandfather Gerry Miller helped direct the operation for the OSS, tells the incredible story of the rowdy daredevils who carried out America's first special-forces mission.